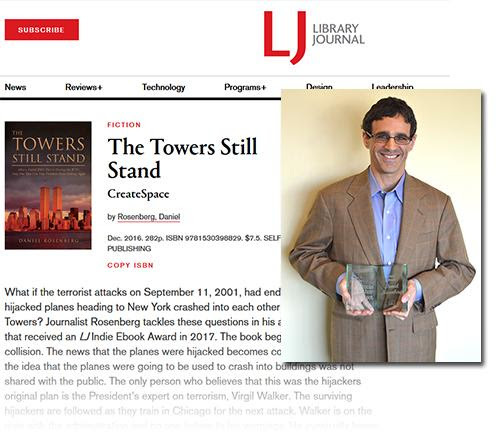 We thank Library Journal for enabling us to honor those who work as self-published authors in a unique way. They posted the reviews for Heather Bentley and Daniel Rosenberg, STBF's 2018 and 2017 winners. Congratulations Heather and Daniel. We thank partner BiblioBoard for their support in helping to create a growth environment for self-published authors and library engagement in curating great reads for library users. Heather Bentley grew up in the western suburbs of Chicago, reading Judy Blume and riding her bike to Dairy Queen. Her love of writing started early, when she would fold and staple scrap pieces of paper together, creating books and even illustrating them. But it wasn't until after having her children that she was able to delve back into writing, eventually setting a goal to hit publication in a year's time. Heather continues to live in the Chicago suburbs with her husband and three boys. She is also the author of contemporary romance titles, "Beautiful Lies" and "Sweetest Heartbreak." Please listen to the Podcast - RAILS Executive Director Deirdre Brennan talks with 2018 Soon to Be Famous Illinois Author Project (STBF) winner, Heather Bentley, and STBF committee member and Marketing/PR Director at Mount Prospect Public Library, Carol Morency, about writing, self-publishing, what they are reading now, and exciting news for STBF. 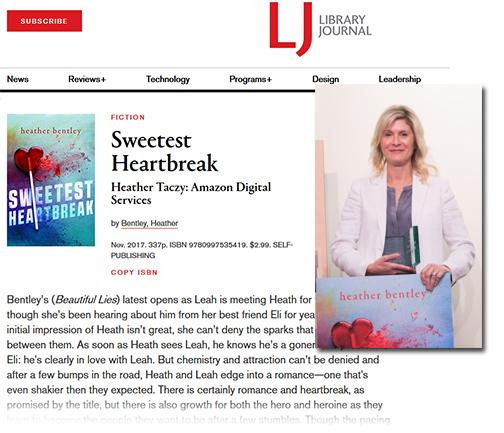 Bentley's book, Sweetest Heartbreak, is available to read on BiblioBoard. Heather will be appearing in libraries and more in the coming months. In addition to announcing the inter-state competition, the Soon to be Famous committee's work with self-published authors will open another cutting edge chapter with the revelation of the new Manuscript Contest which will provide professional support to a talented writer who desires to turn their manuscript into a publishable book. Starting this fall, self-published authors may enter a completed manuscript to be judged again by library professionals. In 2019, the winner of this contest will receive professional editing and cover art, again courtesy of partner Biblioboard. The winner will also be automatically entered into Round 2 of the 2019 Soon to be Famous Illinois Author Project contest. For more about the contest, scheduling information for Bentley and the upcoming Manuscript Contest, please visit, soontobefamous.info. The Soon to be Famous Illinois Author Project invites all Illinois authors of self-published adult fiction to submit their books through their local libraries to be evaluated by a panel of librarian judges. Developed by a group of library marketing professionals, the Project is an effort to demonstrate the power of libraries and librarians to seek out and promote high quality titles from the rapidly growing world of self-publishing. The project is managed and judged by library professionals from all types of libraries across the state of Illinois. Learn more at soontobefamous.info. The Soon to be Famous Illinois Author project is being coordinated in collaboration with the Illinois Library Association (ILA) and Reaching Across Illinois Library System (RAILS) and is supported by the American Library Association Digital Content Working Group, the Public Library Association (PLA), and the Illinois Heartland Library System.